A few years back I was a regular guest blogger for the Portable Kayaks Blog, having a blast taking my Sea Eagle with me on all my jaunts. They changed their format, but I continue to kayak and canoe whenever and where ever I get the chance. The book is available at CreateSpace. For a special introductory price of $8.99 be sure to use discount code SC3VWFS3. Even more exciting is a partnership with the Brewster Chamber of Commerce who is celebrating Conservation Day on July 12. I will be there, with giveaways, kayak rides for the kiddies, and a evening into sunset beach clean up. Festivities begin at 9:30 in Drummer Boy Park. At 3, follow me over to Paines Creek where there will be kayak rides for the kids and beach pails (while supplies last) to clear the asphalt from the marsh. Don't miss the fun--and the sunset. I will be there rain or shine, though I put in an order for lots of sunshine. Be sure to RSVP at the Facebook event page and subscribe to the Blogger page. The Brewster Chamber of Commerce and many local businesses have also partnered with me, and I can not be more thrilled. 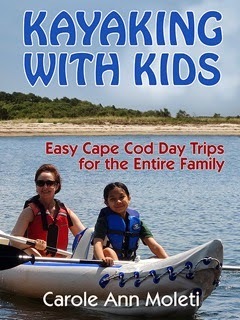 Hence, I am publishing Kayaking with Kids: Easy Cape Cod Day Trips for the Entire Family a eco-friendly guide for families vacationing on what is my favorite place in the world to wile away the summer. Look at the gorgeous cover designed by Rayne Hall and associates. Even more exciting is a partnership with the Brewster Chamber of Commerce who is celebrating Conservation Day on July 12. I will be there, with prizes and giveaways--and kayak rides for the kiddies. 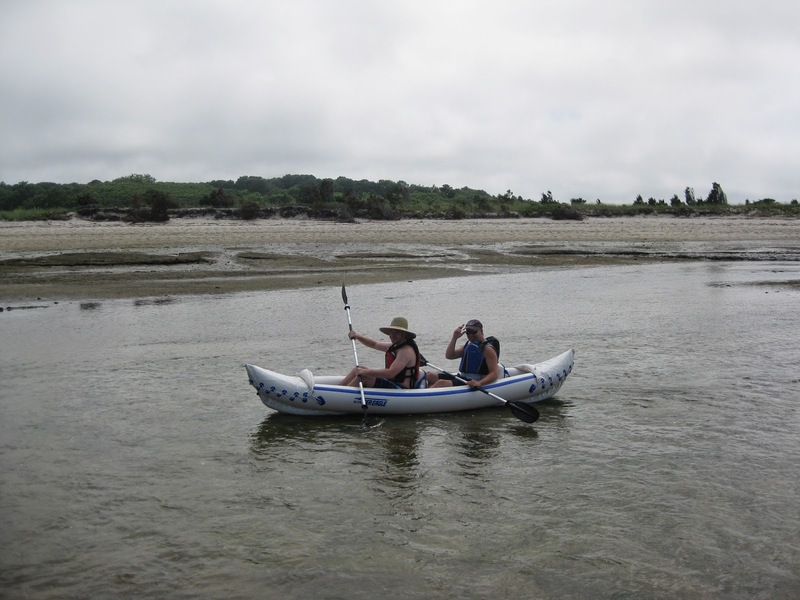 Here is a view of Paine's Creek with Adam and Bill setting off on a paddle into the marsh. 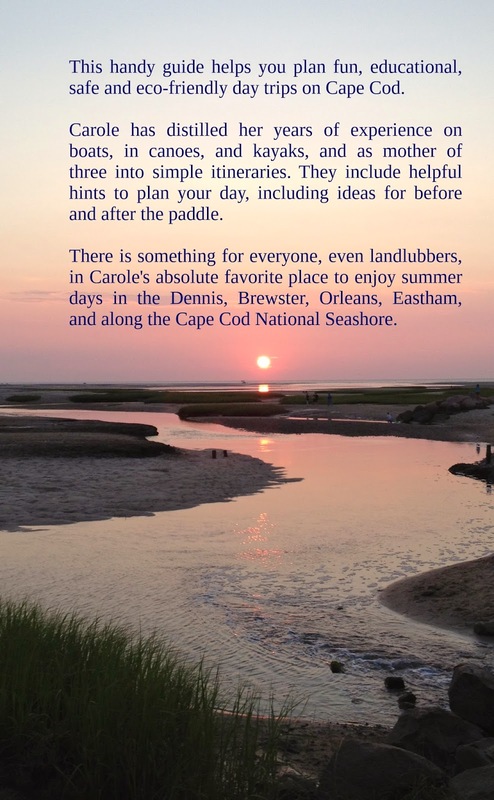 The Cape Cod Museum of Natural History and many local businesses including the Brewster Book Store, Woodworks Gallery in Lemon Tree Village, Cape Cod Rail Trail Bike and Kayak and Bass River Kayaks have also partnered with me, and I can not be more thrilled.